Entering the decisive phase of the main round, a couple of heated battles are on the horizon as the race for the last available berths in both groups are still open. In the biggest clash of the day, Szolnok (HUN), the 2017 champion, needs to halt group-leader Jug’s unbeaten run in order to stay on board. In Group A, Super Cup winner Ferencvaros (HUN) takes on Pro Recco (ITA) which has already secured the top spot. The game is already sold out in Budapest, by the start the Hungarians will know if their qualification hopes are still in danger or not. It depends on the outcome of the other big match of the day between Barceloneta (ESP) and Dynamo (RUS). The Spaniards are still battling for the second place but with an upset Dynamo may close on Ferencvaros and if the Magyar side loses to Recco, then only a point would separate them from the Russians and their trip to Moscow would turn into a live-or-die scenario on Day 14. In the other two matches Steaua (ROU) tries to catch Eger (HUN) to finish their home campaign on a high, while Brescia (ITA) is expected to cruise on in Belgrade (SRB) to keep its second place. Group B will offer the biggest showdown of the round as Szolnok (HUN) faces Jug (CRO). It’s another re-match of the 2017 final and the Hungarians’ only hope is to beat the group-leaders in order to stay in the race for the third place. Szolnok would be the first team to catch Jug this season in the Champions League as the Croats played ties in both their most ‘dangerous’ away matches, in Piraeus and in Busto. While Jug, winner in 2016, sits relatively comfortable in the first position, Szolnok needs all three points badly to set themselves up for knockout game with BPM (ITA) on the last day. On Day 3 it was an extremely close match when Jug won 8-7. The other two big rivals, BPM and Olympiacos (GRE) are set to pass German test. 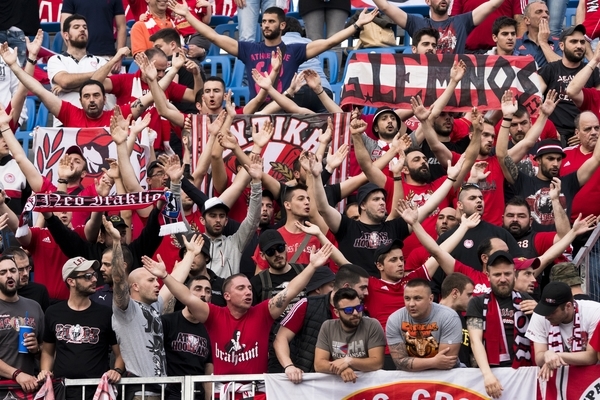 The Italians seemed to have an easier task as they play Hannover at home while the Greeks travel to Berlin, but Olympiacos proved in the last round that it could handle the challenges easily as they beat Mladost (CRO) soundly in the previous round in Zagreb. Mladost is on a five-game losing streak which they definitely want to halt against fellow Croatian side Jadran in a match where pride and prestige is at stake.